Posted on March 27, 2018 at 8:45 AM. PHILADELPHIA–(BUSINESS WIRE)–Community Veterinary Partners (CVP) is pleased to announce that its Board of Directors has appointed Kevin Ruffe as Chief Executive Officer, effective March 12, 2018. He will also join CVP’s Board of Directors. Headquartered in Philadelphia, CVP manages 46 veterinary hospitals in 10 states. “Kevin’s appointment is a reflection of CVP’s tremendous growth over the past few years and more importantly CVP’s positioning for even stronger growth in the coming years,” said Daniel Eisenstadt, CVP co-founder and Board member. Founded in 2009, CVP’s mission is to provide operational support to its hospitals, enabling veterinarians to focus on practicing medicine and providing high-quality pet care. CVP’s hospitals have the benefit of accessing a variety of business tools, such as marketing, leadership development, HR support and finance, while keeping local control of clinical practices. 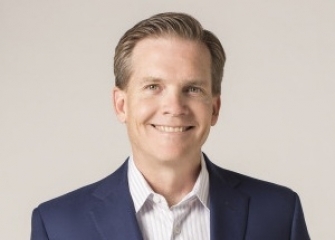 Prior to joining CVP, Ruffe was the Chief Growth Officer at MedExpress, where he was instrumental in building MedExpress into a national leader of urgent care services with nearly 250 locations caring for almost 4 million patients per year. Ruffe earned a bachelor’s degree in economics from Rutgers University and a master’s degree in business management from Rider University. He will be relocating to Philadelphia from Pittsburgh. CVP is controlled by an affiliate of Cortec Group, a private equity firm based in New York, that invests in middle market health care, specialty service, consumer and distribution businesses. Community Veterinary Partners owns and operates veterinary hospitals and is committed to providing world-class treatment and health services to animals. The company strives to maintain each hospital’s individual brand and reputation in its community. The CVP family currently consists of 45 animal hospitals in 10 states. More information is available at www.cvpco.com. Founded in 1984, affiliates of Cortec invest in high value-added, middle-market healthcare, specialty service, consumer, and distribution businesses from owners and management teams who want to work with Cortec to drive growth and improve business fundamentals. Additional information about Cortec can be found at www.cortecgroup.com.